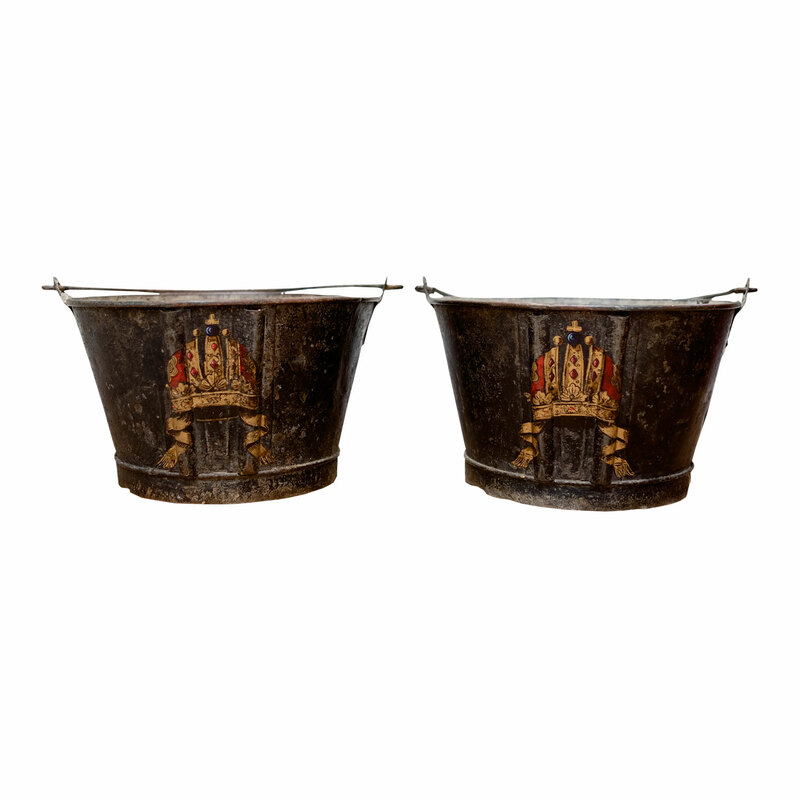 A pair of black painted fire buckets, later decorated with Bishops’ mitres. Perfect as planters. 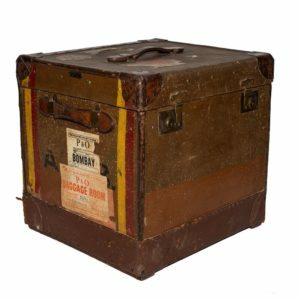 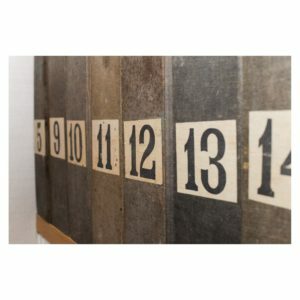 A CHARACTERFUL EDWARDIAN LEATHER TRUNK BY FINNIGAN’S LTD.